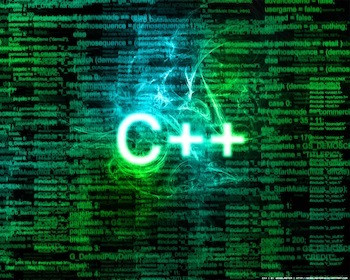 People have been using C++ for a long time now and most of us think that we are pretty well versed with it. Interestingly enough, as we spend more time with something, we keep discovering more things about it. I love it when the thing you have been using for so long turns out to have powerful hidden features. I encounter a lot of C++ in my day-to-day life and so I end up spending a lot of time with it. Over time, as I delved deeper into C++, I came across some abstruse features, some of which really surprised me! So I thought I should write about them. Let’s see what they are. What’s so “vexing” about the most vexing parse? A function declaration for a function myAccountant which returns an object of type Accountant. It takes a single unnamed argument which is a function returning type Bank (and taking no input). Most programmers expect the first, but the C++ standard interprets as the second. It should account for many of those developer hours spent looking for bugs centered around this whole thing. When you compile this, you won’t get any error. You will get the letter ‘h’ printed on the terminal twice. First of all, let me go on record and say that redefining keywords is bad programming practice. Redefining keywords via the preprocessor is technically supposed to cause an error but tools allow it in practice. This lets you do fun bug-introducing stuff like #define true false or #define else. We can do things like these and get away with it. Now why on earth would a programming language allow that? Well, as it turns out, this is actually useful in some situations. Let’s say we are using a large data-oriented library and we don’t want any kind of public inheritance. So we basically need to override the C++ access protection mechanism. One way to do this would be to just patch the library. But let’s say we don’t want to do that. How would we solve this issue? Well, we can just turn off access protection before including the headers for the library. Although we need to remember that we should turn the protection back on once we are done! There is an alternate syntax for the new operator that runs in place on an already allocated object. This is called “placement new”. The object in question is assumed to be of the correct size and that it has the correct alignment. This involves setting up the vtable and calling the constructor. This seems to be a roundabout way of doing the same thing, right? We can just use “new” and move on with our lives. When is it ever useful? Well, placement new is used when we are writing custom allocators for performance-critical systems. Let’s say we have a slab allocator that starts with a single large chunk of memory. If we allocate memory using malloc, we run into the problems of memory fragmentation and overhead of heap traversal. So we use placement new to allocate objects sequentially within the chunk, which helps us avoid those problems. Did you say variable declaration inside a conditional statement? C++ contains a syntactical shorthand for simultaneously declaring a variable and branching on its value. What this means is that you can do a single variable declaration, and can go into an ‘if’ statement based on that. For the record, I don’t condone making variables public in a class. This is just for demonstration purposes only and I didn’t want to obscure it by creating a bunch of getters and setters. This looks eerily similar to a regular function pointer, right? I mean, how is it any different? Well, there is actually a difference between member function pointers and regular function pointers. Casting between a member function pointer and a regular function pointer will not work. Also, member function pointers may be up to four times larger than regular pointers. The compiler may need to store the address of the function body, the offset to the correct base during multiple inheritance, the index of another offset in the vtable during virtual inheritance, and even the offset of the vtable inside the object itself for forward declared types. These features is particularly useful for writing libraries. This entry was posted in Programming and tagged C, Functions, Memory by Prateek Joshi. Bookmark the permalink. Reblogged this on void_ Blog.